Hello dears! I wanted to check in and let you know that I had to get a little surgery done so blogging will be spotty. But since beach blogging is my passion, it will be hard to stay away. I didn't want you to feel abandoned but rest assured that my husband Bryce and our boys Norman and Newman are taking good care of me. 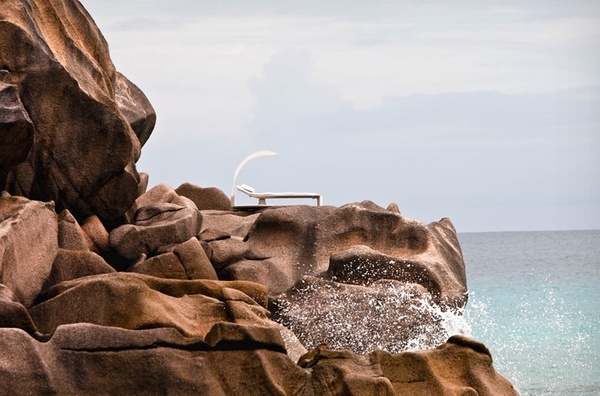 I am home now resting on my comfy bed, but I wouldn't mind one of these gorgeous DEDON beds. Check out their site, they are dreamy. Especially the ones that look like little boho beach pods like this one. I hope to be back on by Wednesday but we shall see. Wouldn't it be wonderful to lounge in that hanging pod? Yes I want one and somewhere like that to hang it! and yes that hanging bed is wonderful. wishing you a speedy recovery! cute beds. 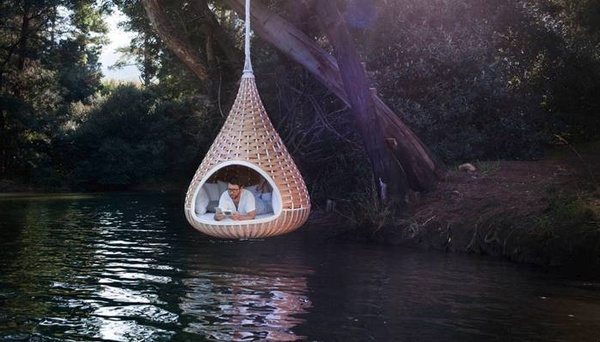 That hanging bed - how wonderful but how on earth did he get in??!! I'd love about a week in that hanging bed. I had the night without Boyd and I have to pick him up in a couple of hours, and I'm wishing for just a few more hours alone. Hope you are up and about today and feeling well! :) Thinking of you!